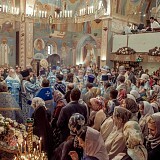 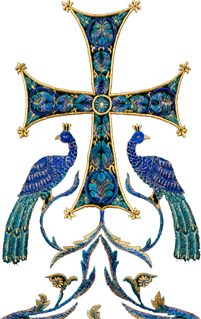 On the great feast of the Exaltation of the Precious and Life-Creating Cross of the Lord, Eastern American Diocesan vicar Bishop Nicholas of Manhattan participated in the divine services in Kursk, Russia. 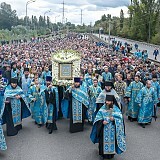 On Tuesday, September 25, a delegation of the Russian Church Aboard – led by His Grace, Eastern American Diocesan vicar Bishop Nicholas of Manhattan – continued its pilgrimage to the lands of Kursk. 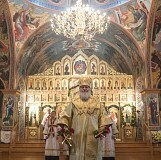 On Monday, September 17, the sole church in the entire vast Eastern American Diocese dedicated to the Holy Hierarch Joasaph of Belgorod in Brooklyn, NY celebrated its patronal feast day and the fifth anniversary of its founding with festal divine services. 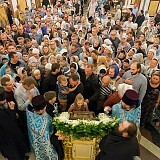 On Saturday, September 22, a delegation of the Russian Church Aboard, led by His Grace, Eastern American Diocesan vicar Bishop Nicholas of Manhattan, began its pilgrimage to Russia. 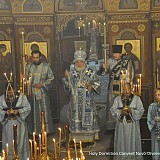 On Friday, September 21, the great feast of the Nativity of the Most Holy Theotokos, the First Hierarch of the Russian Church Abroad led the Great Consecration of the Diocesan Cathedral dedicated to the feast in London. 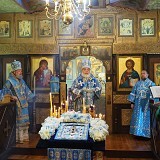 On Saturday the 15th and Sunday the 16th of September, the parishioners of the New Kursk Root Hermitage in Mahopac, NY held their annual celebrations in honor of the forthcoming patronal feast day of the hermitage’s main church, dedicated to the Nativity of the Most Holy Theotokos. 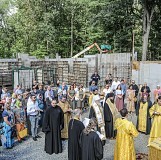 On Saturday, September 15, Metropolitan Hilarion of Eastern America & New York led the consecration of the cornerstone of the future church building of St. Michael the Archangel Church in Wayne, NJ. 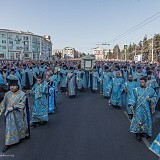 On Monday, September 10, the Media Office of the Eastern American Diocese released a film, entitled "Our Heavenly Mother has Returned," detailing the pilgrimage of the Protectress of the Russian Diaspora, the Kursk Root Icon of the Mother of God, to the Diocese of Kursk in September 2017. 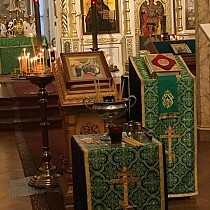 On Sunday, September 2, the feast of the Holy Prophet Samuel and the Synaxis of the Saints of Moscow, Eastern American Diocesan vicar Bishop Nicholas of Manhattan celebrated Divine Liturgy in the Synodal Cathedral of the Sign in New York City. 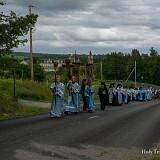 On Saturday, September 1, the annual Labor Day Pilgrimage at Holy Trinity Monastery in Jordanville, NY, began in the usual way: with a procession of the wonderworking Pochaev Icon of the Mother of God from Holy Dormition Cemetery Church to the monastery’s main Holy Trinity Cathedral.